CAT hosted a visit from UK Government Minister for Wales Lord Nick Bourne today – giving us the opportunity to press for ambitious action on climate change and discuss CAT’s role in promoting practical solutions. Lord Bourne’s visit to CAT comes during a month when the UN has issued a stark report showing the urgency of effective climate action and the need for the world’s governments to commit to reducing greenhouse gas emissions to net zero by mid-century. 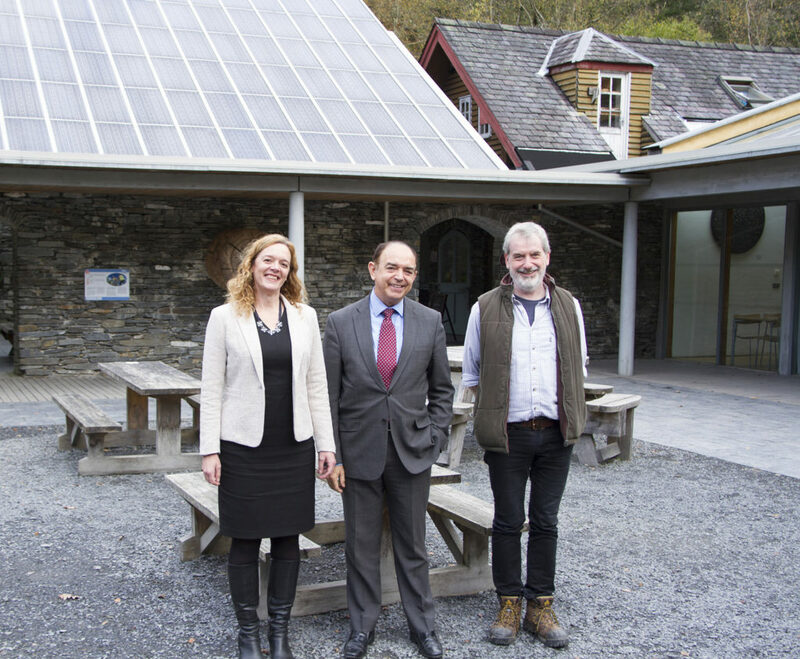 During the visit, Lord Bourne heard about CAT’s future plans, and discussed how these could help to build a Zero Carbon Mid Wales. Plans include the expansion of CAT’s postgraduate degrees and vocational training and the development of a renewed sustainable tourism destination – all focused on spreading the skills and knowledge needed to create a zero carbon future. CAT also used the visit to press the UK Government to commit to an earlier target of 2040 to show global leadership and ensure effective, equitable action on climate. Measures needed to reach this target include investment in and support for renewable energy and energy efficiency measures, improvements in public transport and infrastructure for cycling and walking, and radical changes to agriculture and land-use. Find out more about how we can reach net zero greenhouse gas emissions using technology available today – read CAT’s Zero Carbon Britain research.